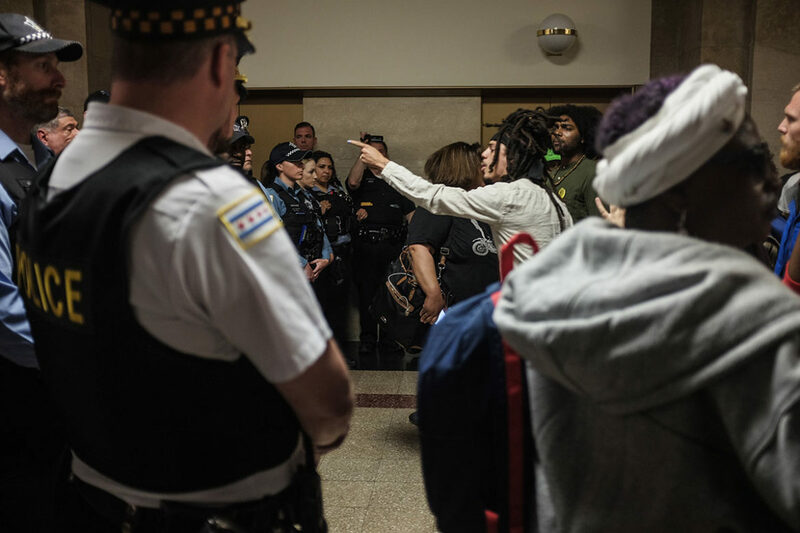 “No Cop Academy” activists protest the Chicago City Council’s approval of funds for a new $95 million police training academy on May 23, 2018, at City Hall. It might’ve seemed rather anodyne after the gaggle of Milwaukee police officers had already tasered, kicked and arrested the Milwaukee Bucks guard Sterling Brown but it was the officer standing on the NBA player’s ankles as he lay handcuffed and prone that says everything you need to know about the incorrigibility of American policing. “C’mon man, you’re stepping on my ankles for what?” Brown, who is African-American, asks his tormentor. “So you don’t kick us,” the white uniformed patrolman replies. Brown, 23, is from the Chicago suburb of Maywood, and 49 years ago this winter another black son of Maywood had his own confrontation with police. Shortly before 5 a.m. on December 4, 1969, 11 police officers burst into a walk up apartment and opened fire; when it ended, Fred Hampton, the 21-year-old chairman of the Illinois chapter of the Black Panthers, lay dead. What happened to two young black men from Maywood nearly half-a-century apart underscores the futility of decades of attempts to reform a law-enforcement culture that regularly abuses power, conceals its misdeeds and uses its political influence to resist accountability. The irreparable glitch in the system, in fact, is not so much that the state’s default position in dealing with black men is often violence, but that the sanction for murdering an African-American is borne almost entirely by the taxpayer, and as a result, law-enforcement agencies have virtually no incentive to change. These contradictions have birthed a movement to end policing as we know it, led by a coterie of Chicago-based abolitionists and reformers. They include activists attached to the Black Lives Matter network, and groups such as the Black Youth Project, Assata’s Daughters, and the No Cop Academy coalition. The movement also enjoys support from iconic academics such as Angela Davis and Brooklyn College sociologist Alex S. Vitale, whose groundbreaking 2017 book, “The End of Policing,” argues that police reforms implemented following the 2014 shooting death of 18-year-old Michael Brown are akin to rearranging the deckchairs on the Titanic. Rejecting the assumption that police forces are formed to protect the people from the worst elements among them, and that this thin blue line is the only thing standing between order and anarchy, these abolitionists and reformers contend that policing instead enforces a racist social and economic order that itself is the cause of inequities and crime. “The suppression of workers and the tight surveillance and micromanagement of black and brown lives have always been at the center of policing,” writes Vitale. What would that look like? It’s not entirely clear but some groups and communities around the country are moving towards phasing out or “divesting” from the police. In May, the mostly white parishioners at First Congregational Church of Oakland pledged to never call the cops again in almost any circumstance. “We can no longer tolerate the trauma inflicted on our communities by policing,” Nichola Torbett, a white church volunteer, said at a ceremony attended by churchgoers who held photos of African-Americans shot dead by law enforcement. Aside from the moral issue however, abolishing the police could be the most practical alternative to a model that is, frankly, no longer affordable. The city of Chicago paid nearly $32 million in 2016 to settle 187 misconduct lawsuits and spent another $20 million on outside lawyers to litigate the cases, at a time when Mayor Rahm Emanuel is closing schools and slashing the budget for mental health and social services. Moreover, cities have exhausted most police reforms to no avail. Civilian review boards are a case-in-point. All the rage a generation ago, following the 1991 videotaped police beating of African-American motorist Rodney King in Los Angeles, the number of citizen-complaint boards today is more than 200, according to the National Association of Civilian Oversight of Law Enforcement. Yet, said Samuel Walker, emeritus professor of criminology and criminal justice at the University of Nebraska at Omaha, “I don’t think you can find a single city where civilian complaint review boards have made a difference in improving the quality of policing.” Chicago has cycled through a series of civilian review boards with little to no effect on police abuse. The video of the 2014 police shooting of Laquan McDonald was concealed for a year. Jon Jeter is a former Washington Post bureau chief in southern Africa and South America as well as a former radio and television producer for Chicago Public Media’s This American Life. His Twitter handle is @JonJeter. 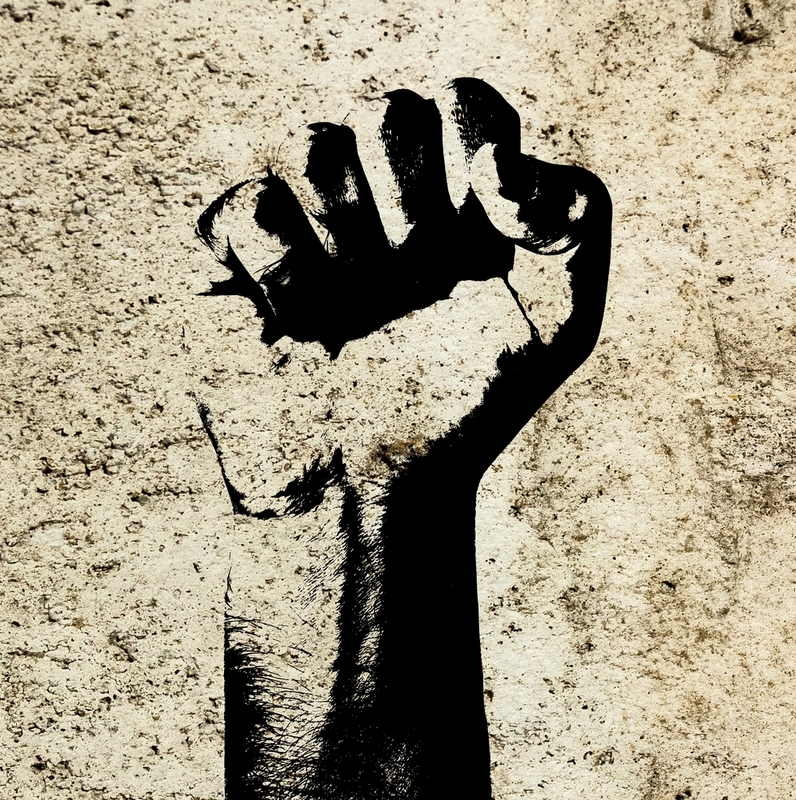 Protesters in Ferguson must now raise their hands and pledge to engage in strategic political organizing in order to sustain their fight against injustice.